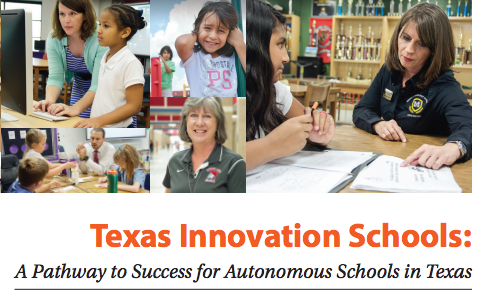 The latest Reform movement push by the Texas Association of School Boards (TASB) is an initiative called ‘District of Innovation’. RED FLAG!!! What this should tell you is, this is a push by the “Schools of Choice” movement, on both sides of the political aisle. It is no surprise that HB 1842’s author is none other than Jimmy Don Aycock along with Rep. Harold Dutton Jr., Rep. Dwayne Bohac, Rep. Eddie Rodriguez, and Rep. Marcia Farney and sponsored by Senator Larry Taylor. This is a bi-partisan push to collapse our traditional public school system and remove the power of locally elected school boards. Now, let’s look at the marketing of ‘Districts of Innovation’ by the Texas Association of School Boards. “For years, Texas school board members and administrators have complained about the ever-increasing number of state mandates and prescriptive laws and bemoaned the continual erosion of local control. Now there is a realistic process for districts to do something about this. Take advantage. Investigate the possibilities and potential of becoming a district of innovation”. So, on one hand, HB1842 is about public school accountability, including the intervention in and sanction of a public schools. And, on the other hand, it is marketing that school districts can get out of state mandates and around the Texas Education Code (TEC) to give back local control. BEWARE!! How is that possible? Have you ever heard the concept of “Shared Learning”? According to the non-Profit education organization “Raise Your Hand” (which Jimmy Don Aycock’s daughter, use to be a lobbyist for, an which was started by Mike Moses and former Lt. Gov. and State Senator Bill Ratliff, the father of former SBOE member and Microsoft Lobbyist, Thomas Ratliff, “Shared Learning” is key to the District’s of Innovation model of education. Now that does not sound like an education of excellence and equal opportunity, this sounds like “Force Equity” and an education of “Equal Outcomes”. Here is a little insight. Linda Darling Hammond is a key player in the Education Reform movement as Dannette Clark has clearly documented, who they are, and what their agenda is. In her article Name Names…. Yes, Theodore Sizer of CES is the same Ted Sizer mentioned in the Raise Your Hand document. By the way, former Texas Lt. Governor Bill Ratliff sits on a National Board “Parents for Public Schools” with both Linda Darling Hammond and Deborah Meier. Call me crazy, but, I am a little skeptical of the “Districts of Innovation” initiative. 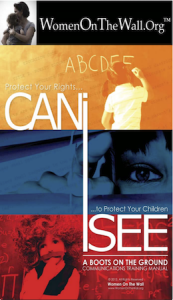 As Anita Hoge has warned us over and over again…..
(2) Unlocking data ‘to flow’ through the Family Education Rights in Privacy Act, FERPA, which allows personally identifiable information on our children to flow to outside 3rd party contractors for research and curriculum development to match College and Career Ready/Common Core national standards. Which are NOW mandated because of the passage of the Every Student Succeeds Act (ESSA). (3) No Child Left Behind Flexibility Waiver, (ESEA, Elementary and Secondary Education Act), that is re-training teachers to teach to 21st Century Learning/College and Career Ready/Common Core using the 4 Cs, Critical Thinking, Creativity, Collaboration, Communication. Much like what is called for in the Districts of Innovation, “Shared Learning”. This is nothing new, they just keep changing the names so local school district will take the bite of the carrot the federal government is holding. As my friend Mellany pointed out…. Listening to Dr. Luksik’s video from 1992, you would think that she is speaking about education reform today. Listening to the last 8 minutes is exactly what has happened under ESSA and how the federal government has fooled the states into believing that they are given more control. I would add it is also how the states are fooling the local school boards that they have control by becoming a “District of Innovation”. Wouldn’t you know, upon reading HB1842. Sec. 12A.002. AUTHORIZATION. (a) Subject to approval by the commissioner, a governing body may establish a multiple-campus innovation zone. So, if the unelected Commissioner of Education Mike Morath, has all the power to intervene and revoke the DOI status of a district, based on assessments and accountability still yet to be established, does the local school board ultimately have control of the district? 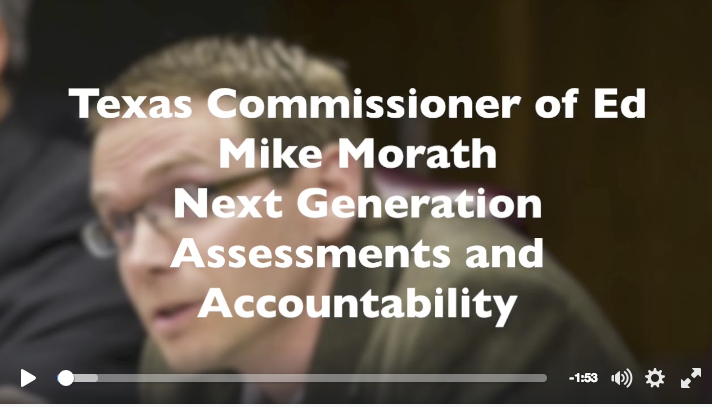 Remember, Mike Morath is the same guy who is advocating that the Next Generation of Assessments and Accountability Commission recommend that Texas develop non-cognitive character standards into the Texas Essential Knowledge and Skills (TEKS).